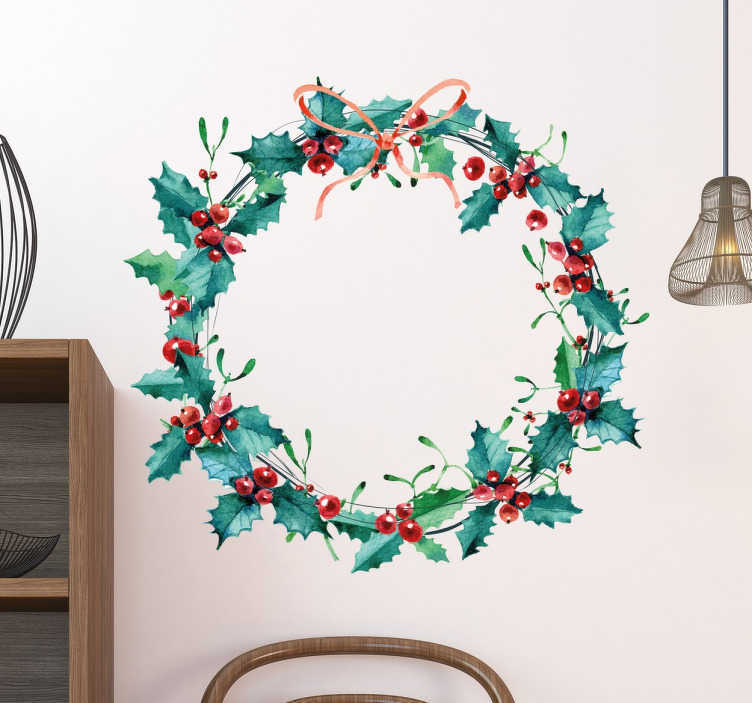 If you love to bring your home to life during the festive period, this holly wreath decorative wall sticker is the perfect vinyl for you! With all of the effect but none of the mess, this sticker is as easy to apply as it is to remove, leaving absolutely no residue upon removal! Available in a variety of different sizes, this sticker is also suitable for outdoor application, meaning that it truly is the perfect holly wreath substitute- perfect for hanging on doors!